The Santa Clarita Business Incubator (SCBI) officially opened its doors in January 2015, with four entrepreneurs moving in and taking the steps necessary to start their businesses. Last year, an array of services was customized by the City and the Small Business Development Center to meet the goals and needs of each individual entrepreneur. By the end of 2015, three businesses had applications and services on the market, available for global access. A summary of each entrepreneur’s major milestones is provided below. Kovariant, LLC, dba Outlyer Virtual Reality, successfully produced videos in 360 degrees for multiple platforms, including a VR experience showcasing Old Town Newhall’s Main Street which was featured at the State of the City Luncheon. The company also released their first VR game for mobile devices; Croid is now available in the Google Play store. The entrepreneur continues to explore innovative ways to brand and market products using virtual reality formats. Outlyer VR provided full, part-time, and internship opportunities for a total of 12 individuals since beginning at the SCBI and by the end of 2015, employed eight people. Nuhubit Software Studios LLC, released “Bubbly Primes,” a math-based educational video game for children on Apple iTunes, and they are currently working on a second video game. In November 2015, the entrepreneur participated in the 2015 SCV Start-up Weekend event and was part of the team that won 1st place for their idea: “Go Inturn.” The entrepreneur hired one additional employee at the end of 2015. 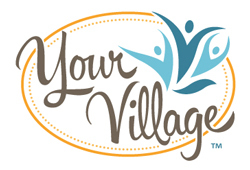 Your Village, Inc. developed over 40 online parenting workshops, and recently launched a subscription-based parenting education service. The resources and support received through the program were critical to developing and launching the business within one year. Your Village hired one employee in 2015 and has moved out of the SCBI. The entrepreneur continues to work with the Small Business Development Center (SBDC) and City staff to grow and promote the business. 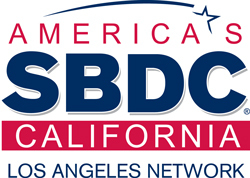 A critical component of the program is active engagement in Small Business Development Center (SBDC) services, City supported events, and partner resources. A summary of programmatic services offered in 2015 is provided below. At the initiation of the program, the entrepreneurs met with SBDC staff, in order to assess their individual needs and to establish their desired goals for 2015. As a result, the entrepreneurs received one-on-one consulting and insight from industry experts through training opportunities. Customized trainings developed exclusively for SCBI tenants included: Maximizing Your Incubator Experience; Basics of Intellectual Property; Angel Investors; and Beyond the Business Card. The entrepreneurs were also eligible to attend any of the business skills workshops offered by the SBDC at no cost. As part of the mentorship program, the entrepreneurs were introduced to potential mentors in a “speed-dating” style event that included local industry experts from various fields, such as educational software, gaming startups, international business development, digital marketing, and crowd funding. The entrepreneurs were able to establish mentorship relationships as a result. 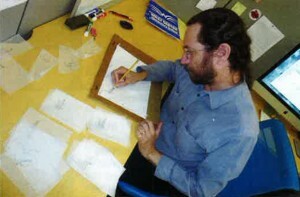 The program is ongoing, and the entrepreneurs are communicating with their mentors as necessary. City staff also supported the entrepreneurs by providing them with opportunities to promote their businesses through social networking events and leveraged the City’s social media and communication resources to help them market their products and major milestones. The Santa Clarita Business Incubator website was created, specifically to promote participating companies in order to connect the entrepreneurs to potential partners and the business community in Santa Clarita and beyond. Networking events included: a kick-off Meet and Greet Luncheon at the initiation of the program that introduced the entrepreneurs to program staff and resources; networking at the Senses Country Throwdown; and an Open House that promoted the entrepreneurs and the program County-wide as part of the Los Angeles County Economic Development Corporation’s (LAEDC) Los Angeles Innovation Week. Legal services were offered through a partnership with Poole & Shaffery, LLP, which included free assistance for the initial formation of a California business entity, as well as discounted rates on non-litigation legal services. Additionally, SCBI entrepreneurs were invited to participate in the SCV Start-up Weekend that took place November 13 – 15, 2015. 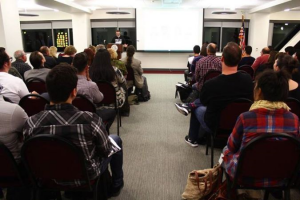 The SCV Start-up Weekend event was organized by local volunteers and created an opportunity for entrepreneurs to network, learn new skills, and possibly create a new start-up company within the Santa Clarita Valley over a 54-hour period. SCBI entrepreneur Alex Bozman of Nuhubit Software Studios participated in the event and was part of the team that won 1st place for their idea: Go Inturn. Go Inturn wants to make internships more fulfilling and rewarding for both interns and employers through a platform that encourages quality participants and interactions.